In recent years, it has been seen that development in information technology has boosted the economy as well as has enhanced employment in the country. Many of the candidates are now opting a career in information technology for getting future benefits. With the development of the technology, ample job opportunities have been created in various sectors. Many of the firms like Wipro, Infosys, Amazon, and others are highly involved in hiring candidates for different designations. Information technology is getting advanced day by day which is ultimately going to make a deep impact on the minds of job seekers to grab opportunities in getting placement in top companies. There are various advantages of being working in an It firm. When the candidate completes his/her graduation (engineering), they got a wide range of opportunities in different sectors of an IT industry. One can easily choose the best jobs which matches with the profile of the candidate. Soon they can avail the benefits. So, whether a computer science student, electronics and communication student or information and technology student, all can avail the job opportunities in this sector. There are a large number of organizations in the job market where number of designations are vacant so as to get fulfilled by the candidates. If an employee has gained experience for more than 5 years, he/she is supposed to have got the job in hand. As these employees make deep impact on the company’s process. Thereby are the valuable resource from the company point of view. Jobs get double secured when any of the job seeker is working in public sector enterprises. If any employee is indulged in technology jobs, he/she needs to be updated in order to stand and prove his existence. Many of the employees make their best knowledge through gaining some of the certification courses. This allows candidates to have jobs at very best position and whenever they switch they get the best. 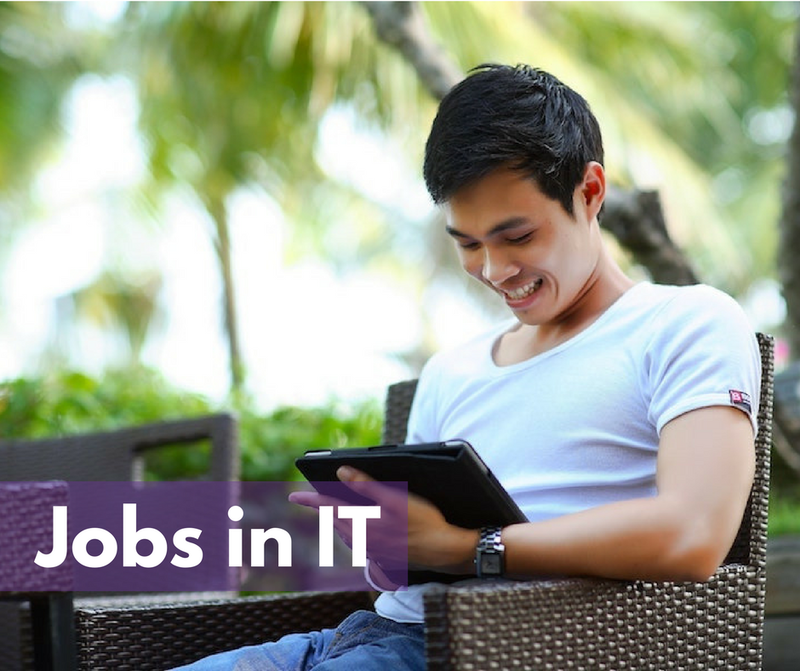 Candidates employed in IT sector jobs can easily avail the best income. If they are good enough in providing the best to the organization. Being a fresher, salary is somewhat low. But once gaining experience, salary increases accordingly. After few years, one can easily earn handsome amount of salary. Therefore, It can make a great difference in getting those jobs. Above mentioned are some of the reason a candidate can choose filed for a brilliant career. In addition to the above, there are various job portals from which you can take help to make your job search complete. In this regard, Monster Philippines will be a better option. To make yours and others dream come true, apply for the jobs in IT sector. The job opportunities are based on the skills, personality and educational qualifications of the candidate. Thus, Bring ideas to life and register on the job portal for better access and better connections. Upload your resume right away!